A late night party, presented as part of the 2018 Northwest Animation Festival. Have a drink, then try making animation yourself. 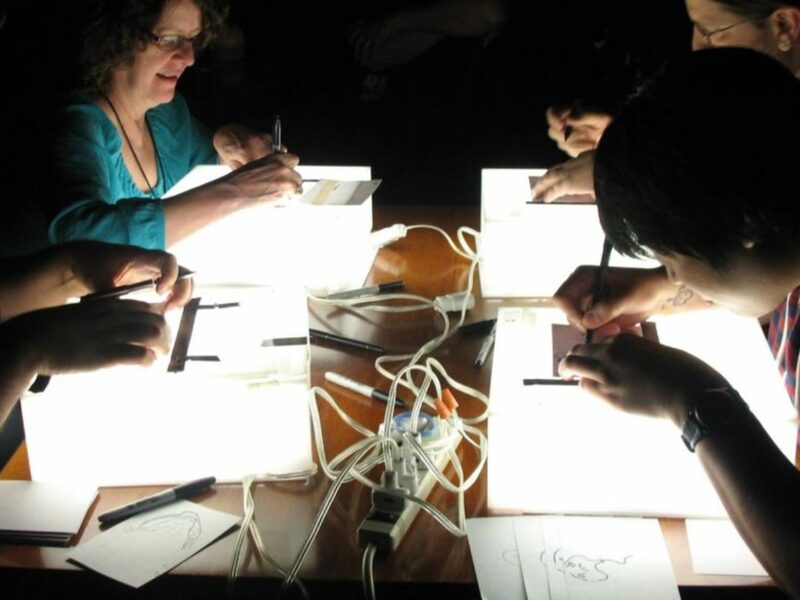 Attendees are provided with sharpie markers and lightboxes. Make twelve drawings, then pass them on to the next person. At the end of the night, all of the drawings are assembled… And we’ll have made a hilarious, chaotic, short film together. Organized by ASIFA-Portland, a chapter of the International Animation Society. FREE and open to the public. Hosted by The Magnolia (a beer and wine bar) immediately across the street from the Hollywood at 4075 NE Sandy Blvd. The Northwest Animation Festival showcases visionary worlds of fantasy, unforgettable stories, and outlandish oddities from around the globe. See the year’s best short films, selected from over 1500 submissions. Pick your favorite topic, or treat yourself to an all-festival pass and experience the whole five-day extravaganza. If you’re an animation-lover, this is the must-see event of 2018!